Small project to determine the cause of population failure in sear trout and salmon with special trap to catch the fish. There is an interpretation centre on site. 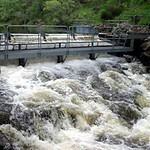 The centre describes the sea trout life history and the recent population decline in western Scotland . In addition, the display boards explain the nature of the Shieldaig Sea Trout Project and the scientific work used to study sea trout and to examine ways of restoring their numbers at Shieldaig. There are also interactive displays for young children that teach them about the life cycle of the sea trout, their predators and prey, through a series of games. You can also find up to date information about the project and other local environmental issues such as seals and sea lice. Publications regarding Scottish fishery issues and reports from fishery trusts are available for reference. Please pop in to the visitor centre if you can and browse. 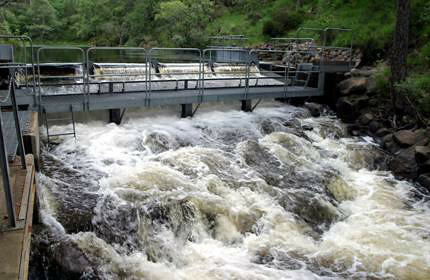 It is important that people appreciate the rich biodiversity of our rivers and lochs and how the sea trout fits in. Staff will be posting information on our activities and latest data from the trap throughout the summer. If the staff are available they will be happy to answer any questions, listen to your comments and hear any news you may have on sea trout elsewhere. If you see us at work in the Glen we will be happy to explain what we're up to. 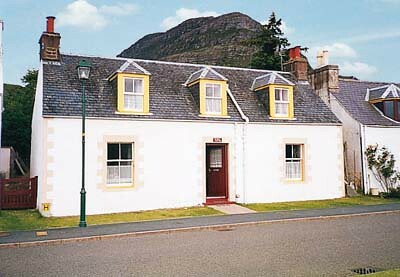 The Shieldaig Sea Trout Visitor Centre is located approximately one mile from Shieldaig village. The entrance is sign-posted on the minor road to Applecross about 100m from the junction with the Shieldaig/Lochcarron road. There is visitor parking in front of the Centre. Set in 2 acres of natural, unspoilt grounds which reach down to the water’s edge, a warm Highland welcome awaits at this lovely detached cottage. This traditional fisherman's cottage is beautifully situated on the sea front of this picturesque Wester Ross village and enjoys wonderful views of the sea loch, coast and surrounding mountains. The ..